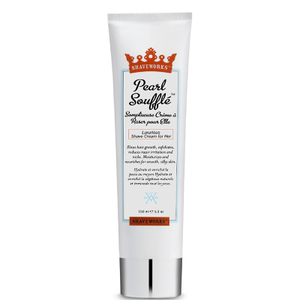 Achieve a closer, smoother shave with the Shaveworks Pearl Soufflé Shave Cream; a lightly scented formula that blends Lavender, Ginger and Vanilla to deliver a luxurious fragrance, whilst allowing your razor to glide effortlessly over skin with minimised nicks and burns. Fortified with Capislow™, an innovative plant extract that works to minimise hair growth in between shaving, the cream combines Phytic and Glycolic Acid to exfoliate dead skin cells and prevent ingrowing hairs, especially in the bikini area. Its Mediacalm Complex calms razor irritation and soothes redness, leaving you with soft, comfortable skin and a long-lasting shave. 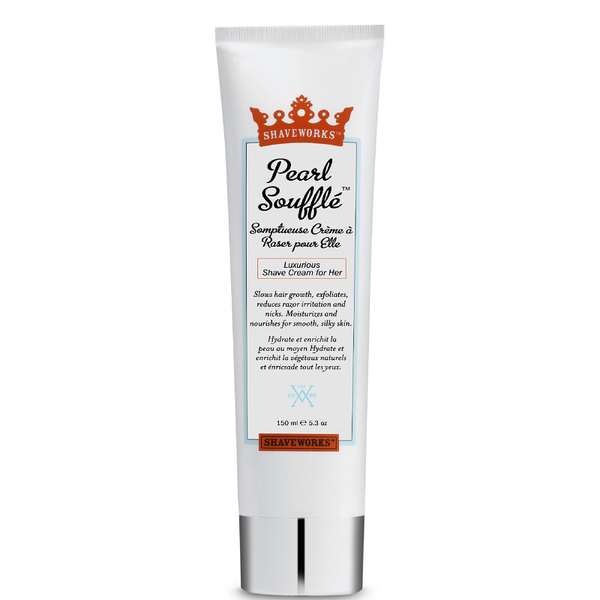 Apply a thin layer of Pearl Soufflé Shave Cream to legs, bikini, or underarms. Shave with the grain at first if you suffer from ingrown hairs and razor bumps; then against the grain for the smoothest shave possible. Water, Stearic Acid, Glycerin, Myristic Acid, Potassium Hydroxide, Coconut Acid, Butylene Glycol, Boerhavia Diffusa Extract, Larrea Divarticata Extract, Lecithin, Phytic Acid.